A growing trend in office design is the use of "living" materials. 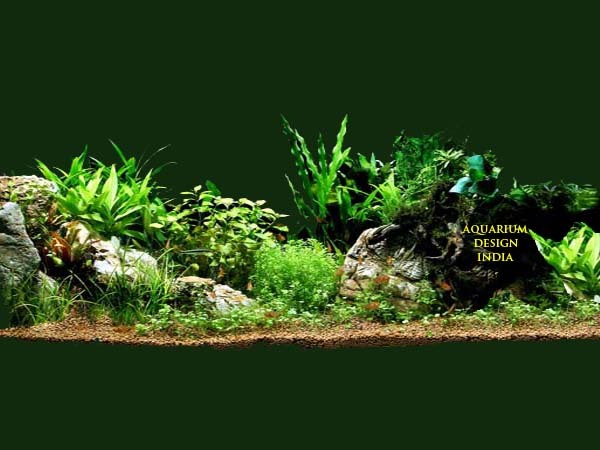 Atriums with plants and water, live plants, and aquatic environments Why not?Living art for your work environment. More soothing than paintings or photos. More intelligible than piped-in music. 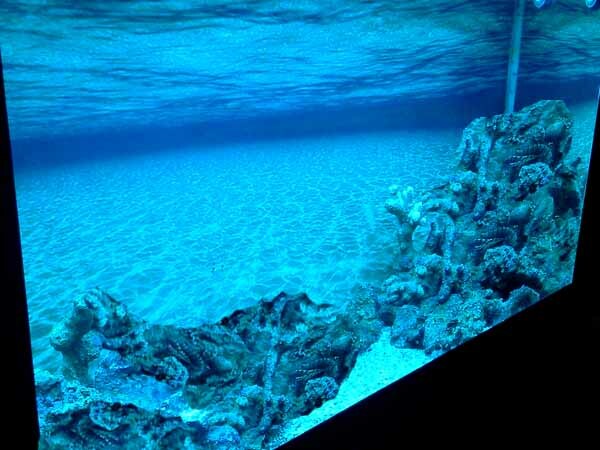 A tropical saltwater, freshwater tank can calm nerves and lend a natural creative edge to the workplace. How can you enjoy the use of the same? 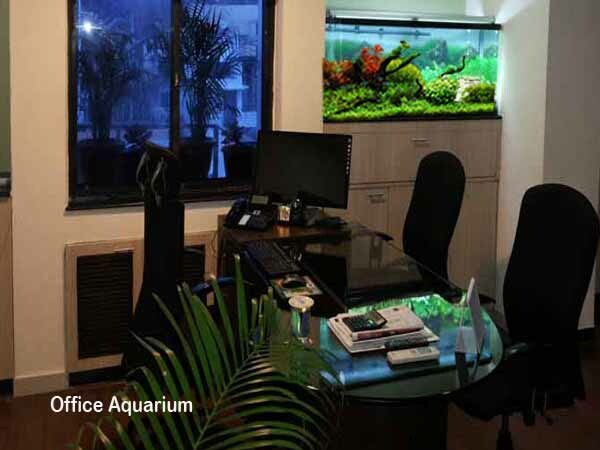 Time to put your fish to work: put 'em in this office aquarium, complete with desk, computer, lamp, chair and potted plant! After a tiring day looking at the smoggy cityscape or the hustling traffic, don't you feel like giving your eyes a break? 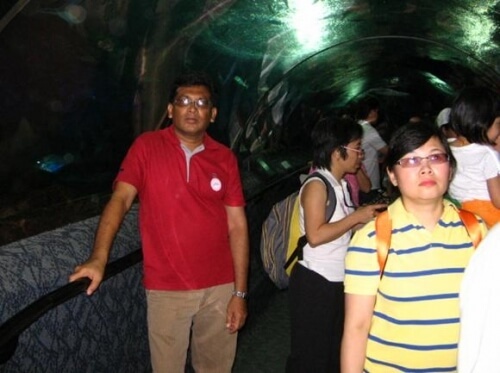 Don't you think at times, even you need a break from everything and indulge in something you like? A pet can be a good option, but we're talking about something even better and more indulging. 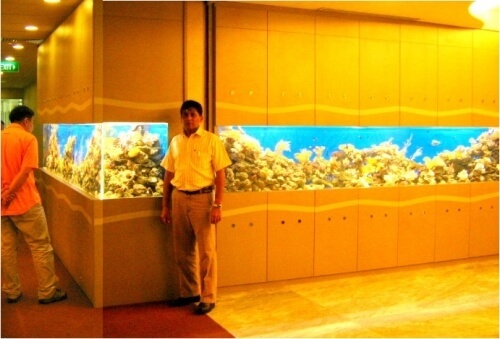 We are talking about owning a pet fish tank in your very own office. 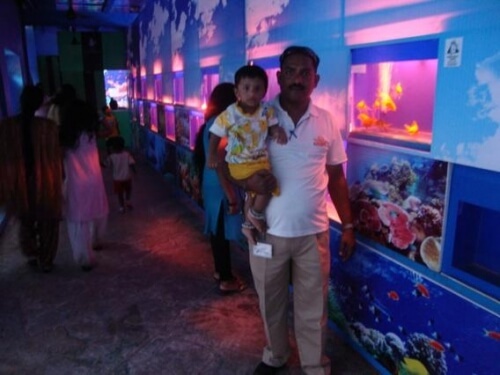 Don't you think it is an awesome way to give your senses a soothing break? 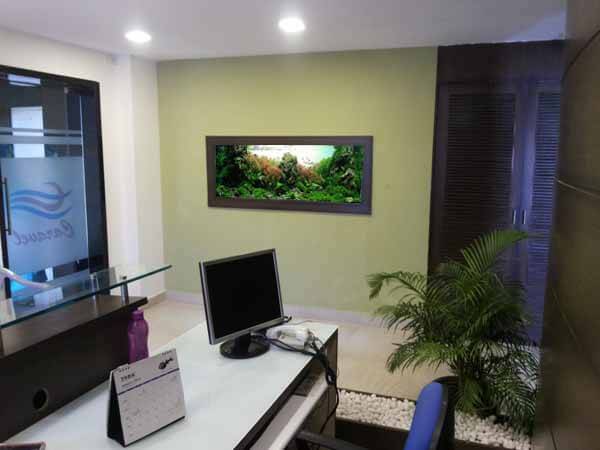 An Office Aquarium brings peace and tranquility to your executive employee's offices. 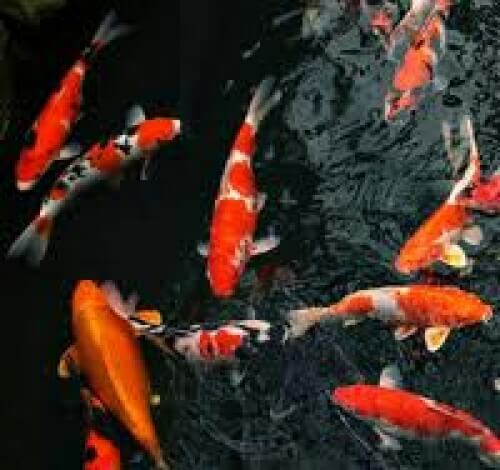 Imagine a cute little fishs or a couple of them, swimming right on your office table or on a stand in your drawing room. 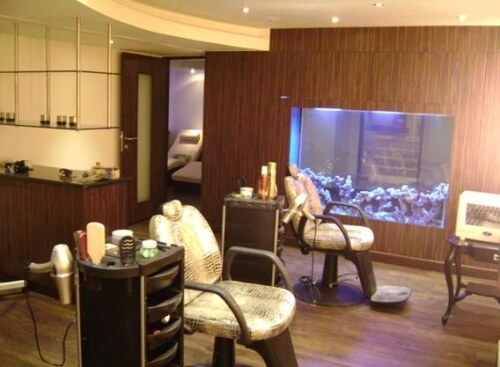 This kind of setup not just lifts up the overall mood of the room, but also looks aesthetically appealing. 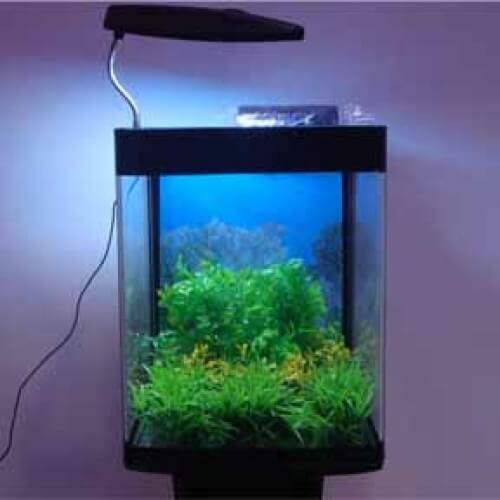 In addition, maintaining one or a couple of fish, is not exactly time consuming. 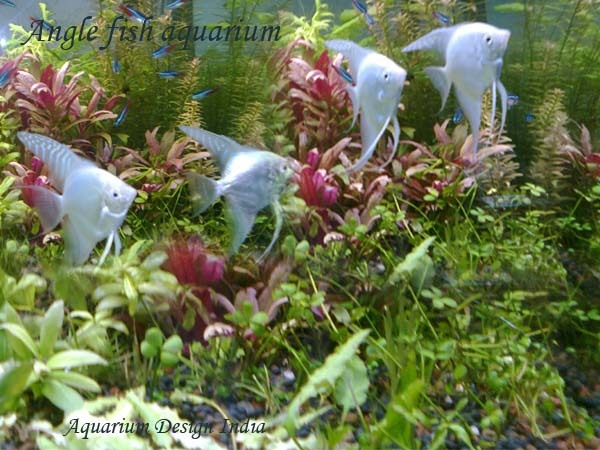 Just give them fish food to nibble at regular intervals and they will be a treat to watch. 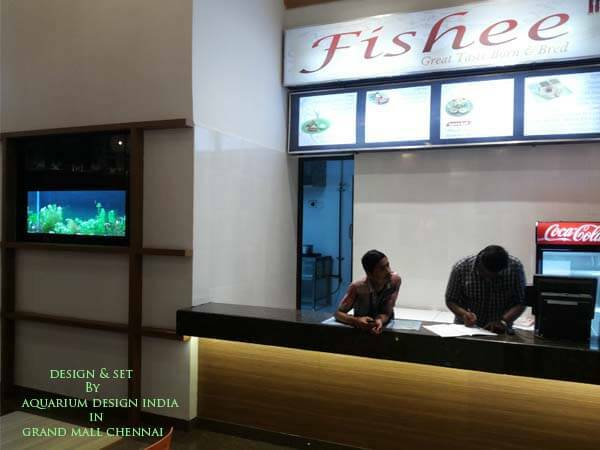 If you are still not convinced, why not look at our rare collections to add that vibrant touch and feel to your office.Aquarium Design India provides full aquarium maintenance & service anywhere in the Chennai area. 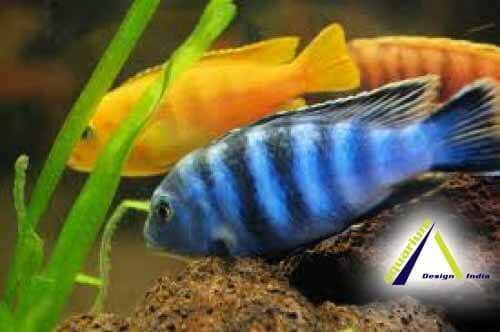 Enjoy a beautiful freshwater, marine, or reef aquarium in your home or business completely hassle-free. 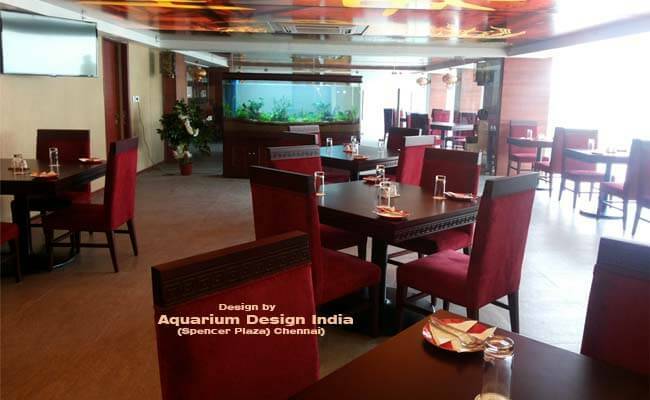 Aquarium Design India will deliver and install your fish tank and equipment, stock the aquarium with the fish, plants, corals, and other creatures of your choice, and provide full maintenance on a weekly or bi-monthly basis.